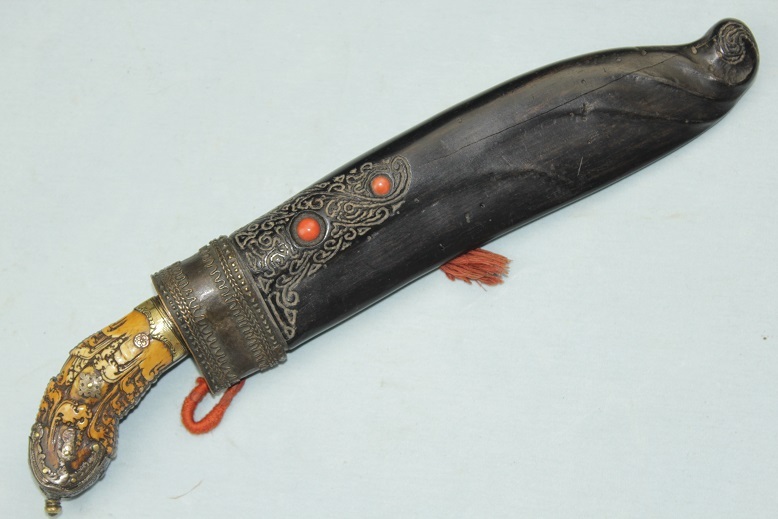 A very fine and large Pia Kaetta with a rare inlaid sheath. 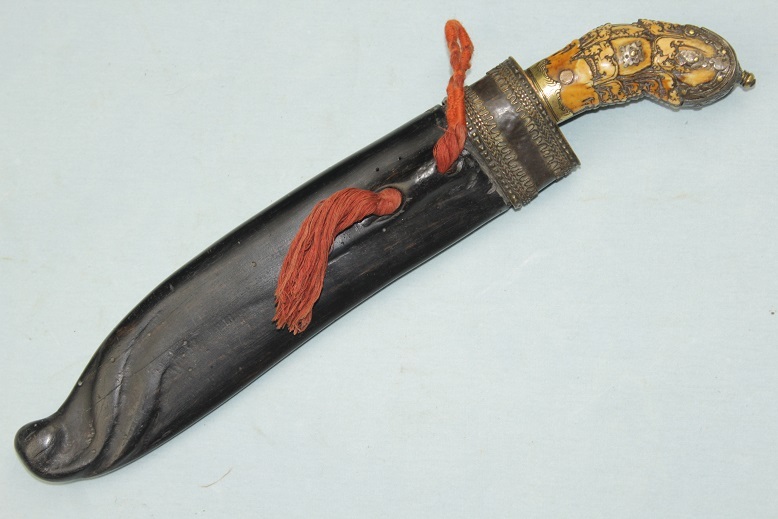 This large and heavy Ceylonese knife measures 32cms long in its sheath. 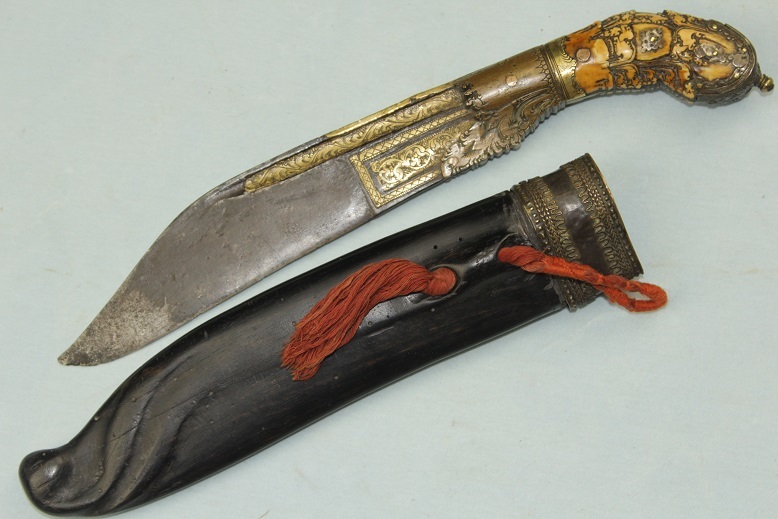 Out it is just under 30cms long and carries a thick blade 18cms long from the out edge of the bolster to the blade's tip. 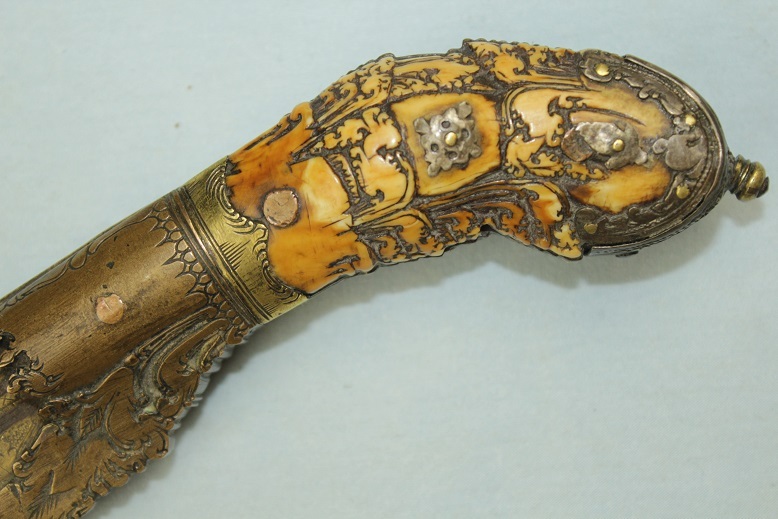 The ornate hilt consists of an expertly carved full tang encased in dark blade liners and large, thick expertly carved ivory grip slabs. 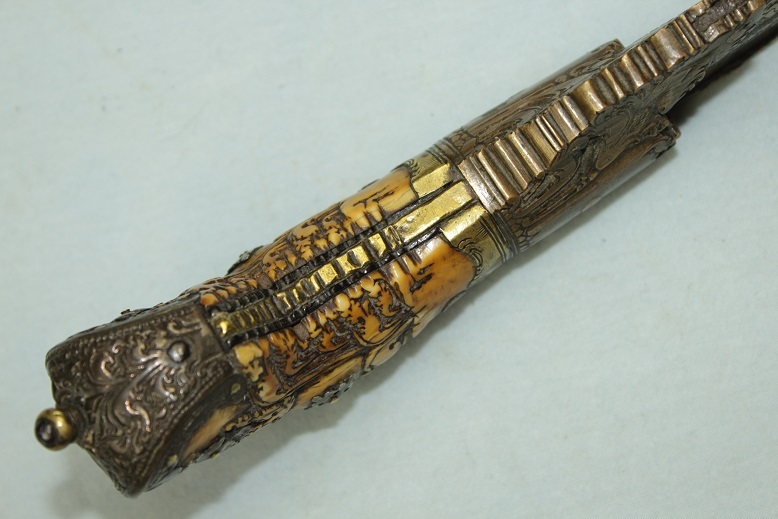 The liners and slabs are pinned and dressed in superbly detailed repousse silver fittings with the exception of the foremost pin that is a broad copper type like that in the bolster, it is decorated with a floral motif to one side. 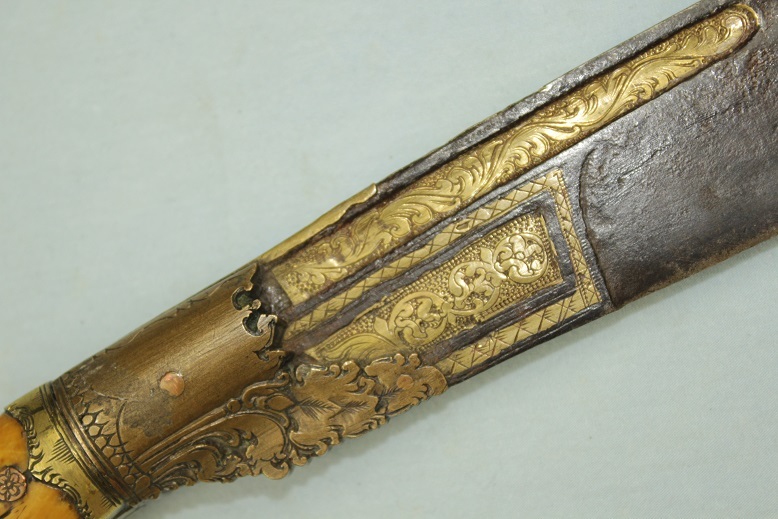 The grip slabs flow through to a golden alloy space then on to the large bronze bolsters which are decorated with the same precision as the ivory slabs. 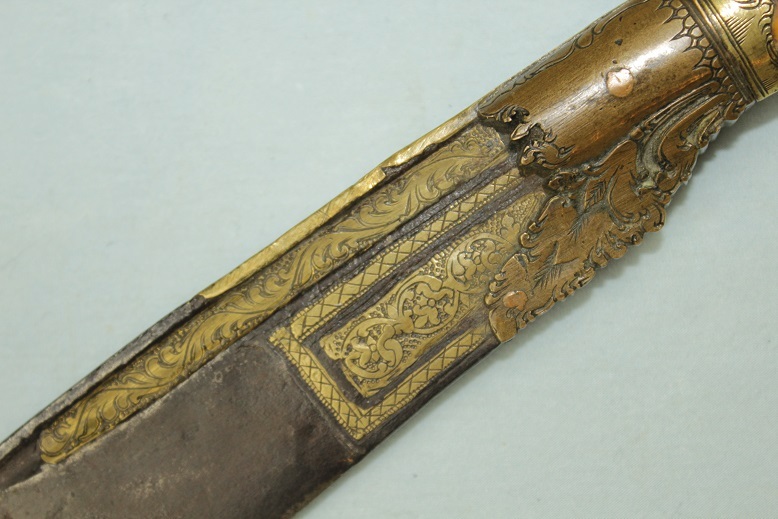 These bolster or fore grip are chased in deep relief. 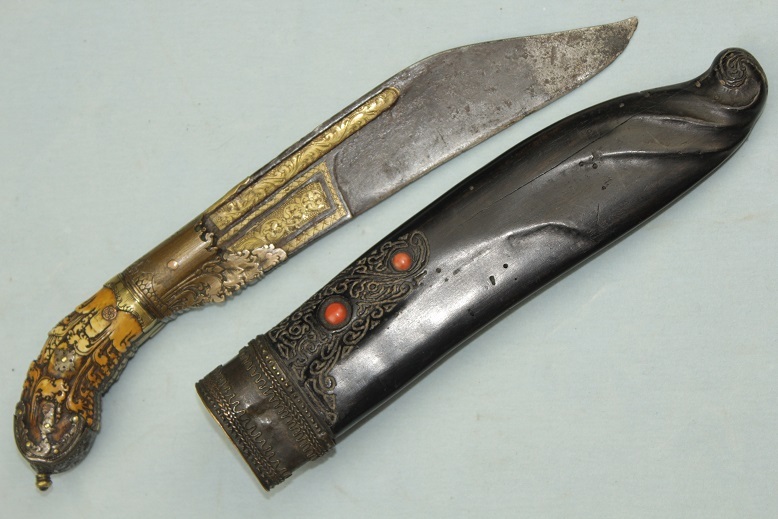 The blade is of a forward curving type and is chiselled heavily throughout. 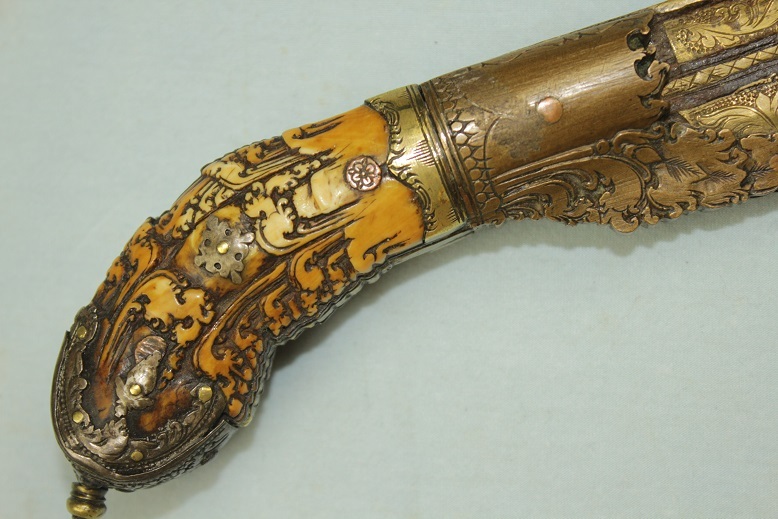 It is over this chiselling that golden alloys are hand beaten and inlaid to form a continuation of the designed seen throughout the hilt. 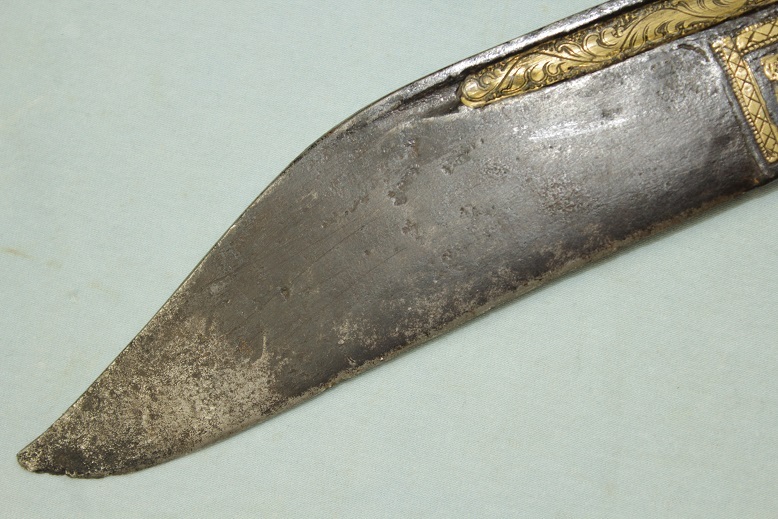 The blade remains uncleaned but like all Pai Kaetta of this age, a fine contrasting steel surface would be found beneath the undisturbed patina. 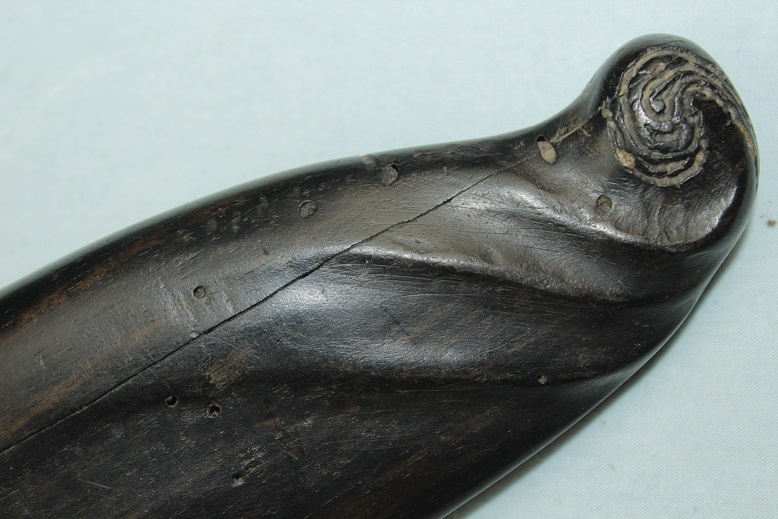 The sheath is made from an ebonised timber. 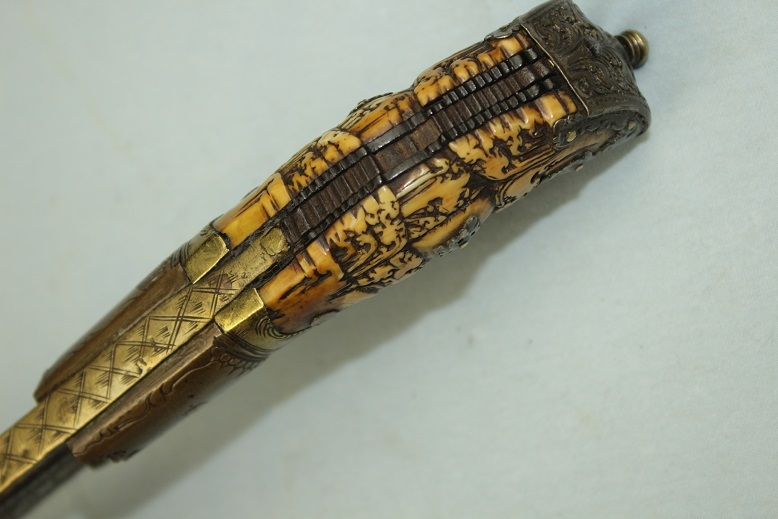 it has numerous carved features but of special note is the inlaid coral and motifs that surround it. To the rear is an integral suspension hole through which an old fabric suspension or belt look is fastened. 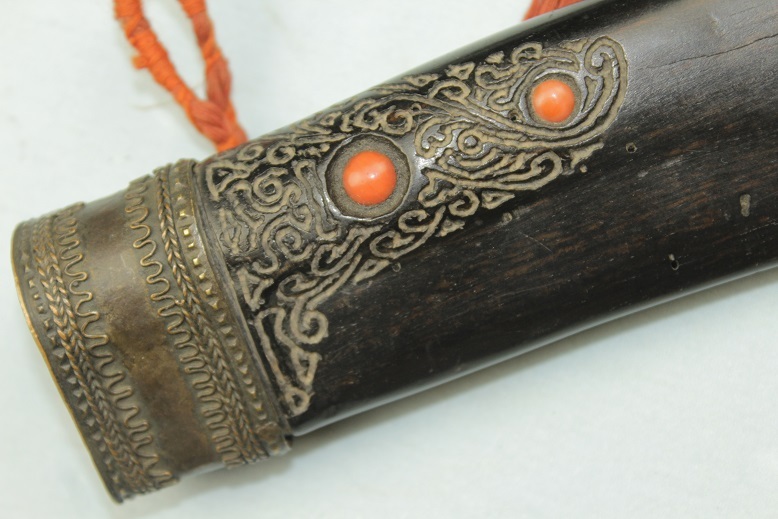 The fine fabric loop shows a particular manufacture and binding rarely seen. 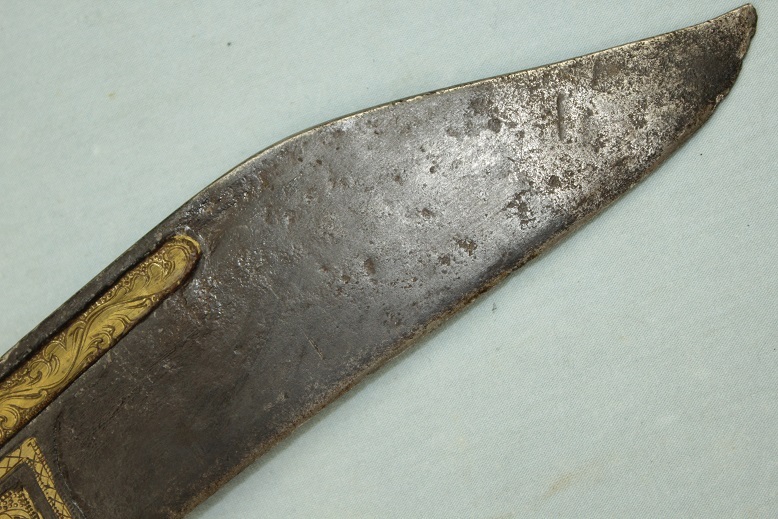 The throat of the sheath is dressed in a copper alloy fitting. A very fine, large and rare Pia Kaetta with some very rare features.